Finally received my #4s last week. The box was original with seals intact. Unfortunately there was an issue with the first box but Cigar Terminal and Mary responded quickly and I’ll be certain to order more cases in the future. Looking forward to allowing a bit more time in my humidor to breathe and adjust after their trip. While I haven't smoked a broad range of cigars, I tend to stick with the ones that I like and this is the best cigar in my book. Complex flavors and excellent draw every time - a real delight to smoke. Highly recommended. This is one of those that seems to find its way onto my order list every time. 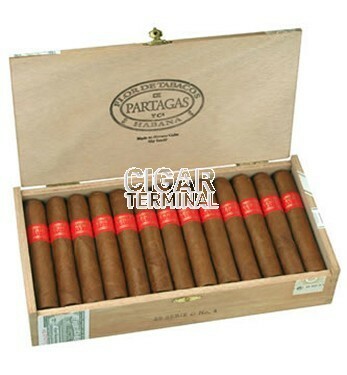 Cigar Terminal continues to be rock solid with both selection, shipping speed and packing. This cigar is so good after only a couple months to settle in the humidor I can't keep them long enough to find out how they age! Lots of flavor, spice and fermented tobacco seem to be the lead flavors. I am consistently impressed with how a well constructed Cuban will overwhelm you with flavor without hitting you with the heavy, almost sledgehammer like, blunt force to the mouth body that "full flavored" best from Nicaragua and Honduras. 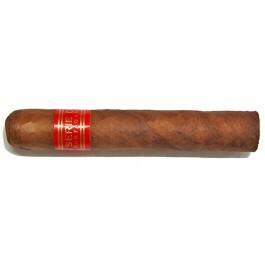 The Serie D No. 4 is just such a cigar. It has a velvety softness to the smoke while the flavors are bold. They have an interesting combination of consistency and complexity through the entire smoke. Great cigar, especially when they go on special. An Incredibly Shiny, Oily Wrapper displayed in Impeccable Construction, producing a Bellowing Draw resulting in clunky grey ash running even Several Inches Long before falling, if you are somewhere you can not be concerned with it's landing, or down to a finer light ash after maintenance. Full, Woody, Distinctly Cuban Flavor throughout. (A+)! This is my favorite go to Cuban cigar. Very smooth, and mild all the way to the end. Best value for the Quality! !